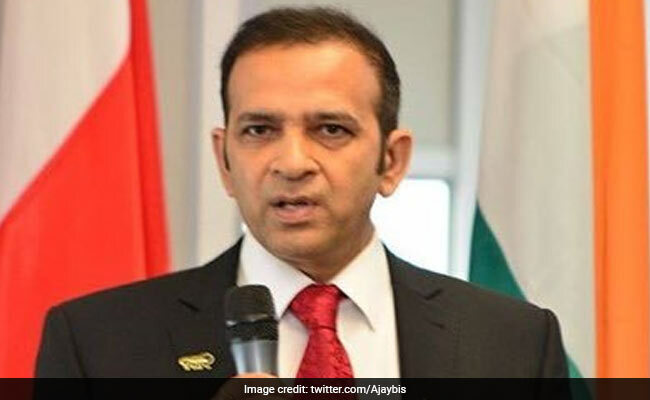 Ajay Bisaria, who arrived in Pakistan last week through the Wagah Border, is the 25th Indian High Commissioner to Pakistan. Ajay Bisaria is the newly appointed Indian High Commissioner to Pakistan. Islamabad: Newly-appointed Indian High Commissioner Ajay Bisaria on Thursday presented his credentials to the Pakistani President Mamnoon Hussain, who said Pakistan is sincerely working for regional peace, stability and development. Mr Hussain congratulated the envoy and expressed hope that the Indian envoy will play an important role in improving the bilateral ties, read a statement issued by the President House. "Pakistan is sincerely working for regional peace, stability and development," the president told Mr Bisaria. Pakistan's economy prospered due to prudent policies of the government, Mr Hussain said, adding that Pakistan is the best country for investment. Ambassadors of China and Vietnam also joined the Indian envoy to present their credentials. Mr Bisaria is taking charge at a challenging time as relations between Pakistan and India have touched new low due to ongoing tension. His first major task would be the meeting between Kulbhushan Jadhav and his family scheduled for Monday, December 25. Mr Jadhav, 47, was sentenced to death by a Pakistani military court on charges of espionage and terrorism in April, following which India moved the International Court of Justice in May. 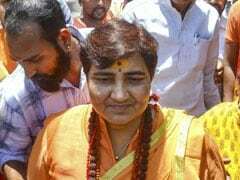 The international court had put a stay on his execution on India's appeal pending the final verdict. Pakistan had agreed to facilitate a meeting of between Mr Jadhav and his mother and wife in Islamabad on December 25.